Who We Are? Stories about us. 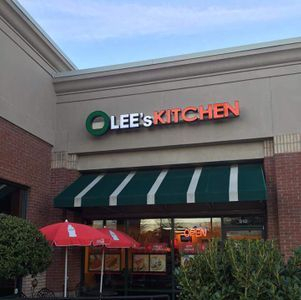 We’re a family owned and operated takeout restaurant called Olee’s Kitchen, located in the Rivermont Station Kroger shopping center. Olee’s Kitchen is a hole in the wall sort of place, small, nothing fancy, but has a lot of love and care. Some of the popular items on our menu are Philly Cheese Steaks, Gyro wraps, Chicken Wings, Specialty Korean Tacos as well as Steak & Teriyaki Chicken Bowls. We serve some Glutin free options and we also take orders for some Korean dishes such as Chapchae and Bibimbop on a call-in basis. A little background story about this place -- Olee is a registered architect in Georgia and has worked on projects from skyscrapers, higher education renovations to multi-family housing for over 12 years. She has always been away from home and never got to spend quality time with her mom before. One day, sitting at her office contemplating what the rest of her life would be like, she suddenly wanted to try something else. She knows she will come back to the profession at some point, since she loves the process of designing buildings and the creative and collaborative effort to make things happen, but as time goes by, there are only so many chances to be with family, so she decides to take a break and work together with her mom.The person who gave her life and supported her all the way but never got to spend a good and quality time together. Not to mention, cooking runs in the family and Ms. Park has been a cook over 30 years. She loves cooking and watching people enjoying her food. She wouldn't want to retire but would rather continue working so she can serve people. The restaurant is called ‘Kitchen’ so that it isn't necessarily tied down to a specific menu but we're free to explore and adapt to customers' needs as we go. So our concept is to evolve. We use fresh ingredients and prepare our sauces from scratch as much as we can. We buy fresh Halal beef and cut it ourselves. Understanding and customizing the needs of customers. We start to develop these so-called "Usuals" such as Jason's usual, Kenny's, Sam's, Jim's, Asia's and Free's, the list goes on. Unless they request otherwise that day, as they walk in to the store, we are getting ready to cook already. We have studied and understood each customer's tendency and tried to maintain their standard as we pay attention to details. Would you like your usual today? Talk to Olee's. Happiness is what we serve. We care about quality in service & food and appreciate the customer interactions. We believe in serving quality food at a reasonable price and strive to have happy customers enjoying our food. 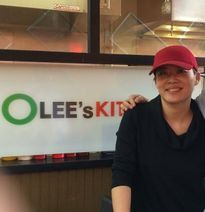 Please stop by and see us sometime and also check us out on Yelp & Facebook @ Olee's Kitchen and like the page if you enjoy our food and service!